E3 has been jam-packed full of huge game announcements, sneaky reveals, and surprising revelations. There’s no doubt that gamers are in for a treat with what lies ahead over the course of the next year or so, but looking back at the unveilings, we take a look at the biggest and best announcements from this year’s show. 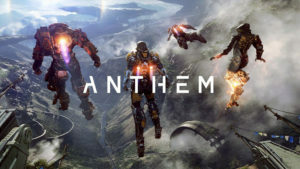 Electronic Arts kicked off their presentation with a new game from Mass Effect developers Bioware called Anthem. The game looks like the love-child of Iron Man and Crysis, with a dose of Mass Effect peppered in there. You play as a Freelancer, equipped with a weapon and jetpack exosuit known as a Javelin, and are tasked with braving the lush yet hostile open-world around a walled city to protect mankind from the threats that lie beyond. Anthem also features cooperative multiplayer, so you’ll be able to team up in groups of up to four to complete missions together, though we expect you’ll also be able to play most of the game on your own if you prefer. EA’s A Way Out looks to be one of the more unique game announcements to come out of E3. Diverging from the usual onslaught of shooters, racing, and action games, A Way Out is a co-op narrative game that puts players in the shoes of two convicts on the run. The game is being made by an indie studio who brought us Brothers: A Tale of Two Sons, a somewhat underrated adventure title. There aren’t too many details on the game, but one interesting point is that A Way Out is only playable in cooperative mode, either through couch co-op or online multiplayer — two players must always play as protagonists Vincent and Leo throughout a session. The coordination makes for some intricate co-op experiences, including using one another’s weight to shimmy up walls or help one another over obstacles. Bethesda have hopes of giving us new nightmares this year, as they announced The Evil Within 2, a sequel to 2014’s brilliant survival horror revival from the mind of Resident Evil creator Shinji Mikami. From the initial trailer, The New Colossus is already looking incredibly slick and brutal, and we can’t wait to get our hands on some more alternate-timeline Nazi stomping. The Metro series went quiet since the sequel came out back in 2013, but the third game in the franchise is on its way. Rather than scurrying around in linear underground tunnels through post-apocalyptic Moscow, Metro Exodus takes the series to an open-world setting, being described as the “most ambitious project yet”, which will see players venture across a monster-filled Russia. 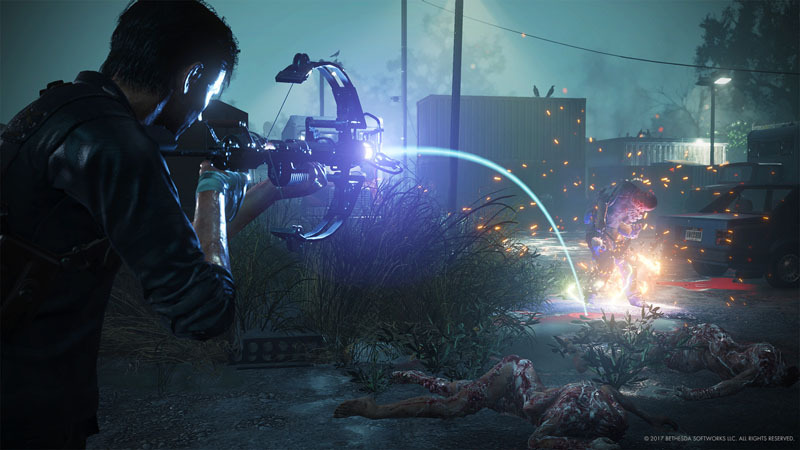 The reveal trailer showed off a dilapidated setting, makeshift weaponry and giant mutated rat and bear creatures — all elements that will be familiar to fans of the previous two games in the series.